It's easy to get used to going to the art shop and just selecting the most suitable tubes of paints. Even if contemporary painters don't necessarily have to make their own paint, it's very useful to know the components of your primary medium, This guide is for everyone who's interested in broadening their knowledge about paints and their colours. 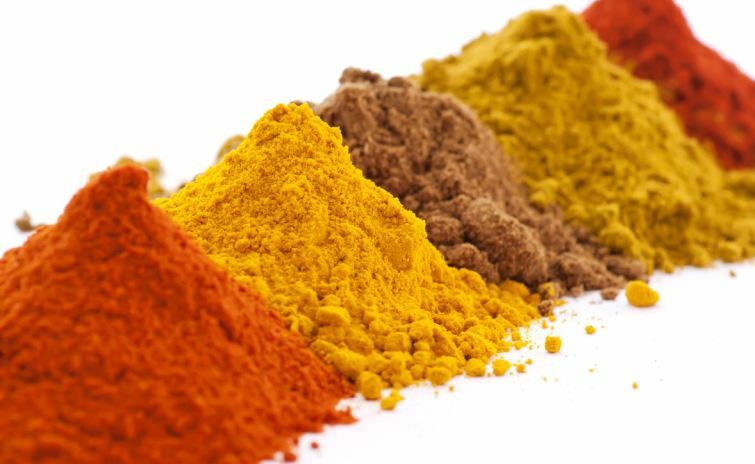 Pigments are fine powders, used for the colouration of paints, inks, ceramics, plastics and wax. In order to be able to use them, pigments have to be added to liquids. 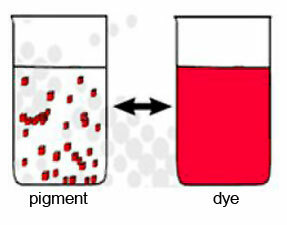 When the solvent evaporates or cools down, the pigment molecules solidify. Before paints began to be manufactured in factories, painters (or their apprentices) were in charge of making their own pigments and paints. Pigments play a very big role in identifying the age of a painting, for example Prussian blue was first available in 1706, and lead-tin yellow was only used until the 18th century. Lemon yellow pigment has been used since the early 1800s. It has an opaque quality, and excellent light-fastness. It has a tendency to turn slightly greenish when mixed with oil binders. Green earth pigment is a mixture of different minerals (glauconite, celadonite), and has been used since antiquity. In medieval Italian paintings, it was common to use it for under-painting for flesh tones. Organic Ultramarine has been used for the last 6,000 years from when they first began mining its base mineral, lapis lazuli. It was used in Egyptian tomb painting then later in Europe by artists such as Leonardo da Vinci, Raphael, and Michelangelo Buonarotti. Synthetic ultramarine has been produced since the 19th century. Up until the end of the 18th century, the main pigment for white paint was lead white, however, due to its toxicity, it was ideal to replace it with zinc white. And not only that, zinc white proved to be less opaque, which was favourable for 19th century's changing colour preferences, as it was easier to create more vibrant colours. Cadmium red pigment has always been a popular colour choice from Edvard Munch to Salvador Dali and Francis Bacon. However, the pigment is quite expensive due to the scarcity of cadmium metal, not to mention its toxicity. In 2015 artists faced a possible Europe-wide ban, but luckily it hasn't been issued and artists no longer have to fear the disappearance of their vibrant reds and oranges. Vandyke brown pigment or "earth" as it is sometimes referred to as, is very telling: it contains almost entirely organic compounds like soil, and it has been a very prominent colour choice of old masters, since the 17th century. Bone black pigment also has a telling name: it's partly made out of carbonised animal bones. It's also sometimes called ivory black which is similar but more exclusive as it's made out of carbonised ivory pieces. Get to Know the Universal Pigment Codes! It's very useful to choose your paint consciously - knowing what different signs and symbols indicate on the paint tube can save you from buying unwanted colours, as well as predicting the mixed colours interaction. It's good to learn what Colour Index names mean, as they tell which specific pigment(s) make up that particular colour. The United States the Association of Textile Chemists and Colorists (AATCC) standardises these codes. They have two parts; ten pigment codes and different numbers after them. Colours that have a "hue" in their name means that the paint was made with less expensive substitute pigments, but are a very similar colour. paying attention to Colour Index Names can help you with mixing colours as well. It's particularly useful when you only need a small amount of a particular colour. For example, Payne's Grey is made from Ultramarine Blue (PB29) and Carbon Black (PBk7)! The same codes might be on different but produce a similar colour. For instance, both Burnt Sienna and Raw Sienna have PBr7 pigment, the difference is how these pigments were prepared for the two colours. You might want to keep in mind that some paints that have more than one Colour index name, indicating that the colour is made up of more pigments, therefore you might not want to mix that colour more as the high consistency of different pigments could result in a dull colour. 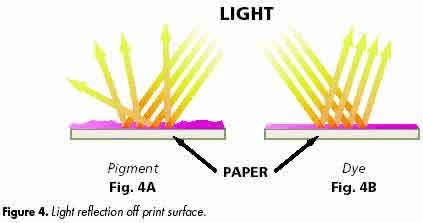 Pigments' light-fastness means how much they are resistant to change when exposed to light. This can depend on the pigment's chemical composition and whether it is mixed into oil, acrylic or other type of paint. Generally, light-fastness determines the "life expectancy" of the artwork, as less light-fast paints are sure to eventually fade. 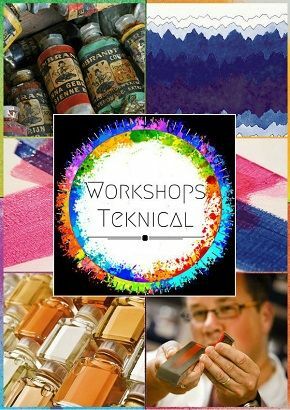 There are different systems to determine the light-fastness of paints and pigments. What's the Difference between Pigments and Dyes? colour-giving substances are separated into two types: dyes and pigments. The main difference between them is their light-fastness. Dyes blended with paint or ink have a maximum of moderate light-fastness. Dyes dissolve in water, pigments are insoluble. Dyes are used for illustrative purposes, when preserving the original work is not essential, as it will be published. Pigments can be arranged on a scale between Opaque and Transparent qualities. The main difference comes at the stages of painting: for instance, painting with a light but opaque colour will be visible on a dark surface, but not the other way round. The paint’s opacity and transparency does not relate to pigment density! Hansa yellow, Azo yellow, Quinacridone reds, Pthalo blue, Ultramarine, Burnt sienna. From left to right, the yellows shown are PY110 , PY 153, PY108, hansa yellow (PY3), and yellow ochre. This entry was posted in Blog Home, Articles and tagged paint, pigments, colours, dyes, lightfastness, opacity on May 22, 2017 by Zsofia Jakab. For over 80 years, Escoda – a family business based in Barcelona – have been handcrafting high quality brushes for all forms of artistic expression. Founded in 1933, Josep Escoda Roig (1902-1982) had the dream of starting a company that would produce high quality brushes for fine artists; 3 generations later the world renowned company is still flourishing. Today, Escoda have a wide range of natural and synthetic brushes, of which they handcraft around 1 million every year whilst maintaining their dedication to create the best brushes possible. When crafting their brushes, Escoda marry expert skill with the highest quality raw materials, ensuring the final quality of each brush stroke and the lifespan of their range. Each brush is handmade by highly trained brush makers and must meet the high standards set out by Josep Snr. A wide selection of natural and synthetic fibre brushes are available, each designed with their specific qualities in mind to provide the artist the best possible brush. Escoda's natural hair brushes are the result of decades of experience and knowledge into what makes the perfect brush for each medium. 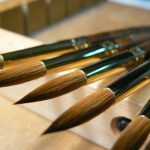 For oils and acrylics, Escoda's Bravo (ox ear), Saturno (polecat), Arco (badger) and Clasico (hog bristles) ranges provide artists with robust, predictable brushes in different sizes designed to compliment the natural properties of the paint. For water-colourists, the Artesana (pony), Aquario (squirrel) and Reserva (kolinsky) ranges provide the soft fine hairs necessary for a delicate touch and increased control. Not only do they make exceptional quality natural brushes, but they also have a large range of synthetic fibre options. Each artificial brush is designed specifically to produce the same high quality performance and brushstroke as the traditional brush - for many artist this provides a new standard for their practice. The Escoda family and their dedicated team of highly trained brush makers have transformed the making of brushes into an art form of its very own. Here are a couple videos from their Youtube channel demonstrating the process and craftsmanship standards the Escoda family strive to maintain. This entry was posted in Blog Home and tagged brushes, craft, oil paint, supplies, artist, escoda, brush on May 22, 2017 by Steven Peebles. 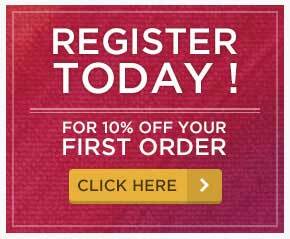 Don't be scared to try oil paints! Using oil paint might seem a bit scary at first – they require the use of chemicals, they are more expensive and generally considered harder to learn the proper techniques. This general introduction to oil paint should prove useful if you’re considering making the decision and try them out – even though they require more painting knowledge, it is worth getting into! So what really are oil paints? Oil paint is a traditional material that has been used in Europe since the 15th century. It basically consists of one or various pigments (organic and/or metallic based - these days synthetic versions are much more common) mixed with oil - typically linseed, poppy or sunflower. The most striking feature of oil paint is that they will not dissolve in water. But don’t let it discourage you! With enough knowledge, these chemicals will become less sinister! There are two main surfaces for oil painting: stretched canvases, canvas boards or wooden panels. You can prepare your own preferred painting surface, or purchase them. It is advised to put a layer of (rabbit skin) glue onto the surface of the canvas before the Gesso, but it is essential when you’re working with wood, as otherwise it could curl due to the moisture in the paint. After two or three layers of glue another two or three layers of Gesso (a mixture of rabbit skin glue, water, and chalk that creates a flexible and absorbent layer between the canvas or wood and oil paint) are applied. It’s not necessary to paint too many layers, as it could result in dull colours if the heavy layers absorb the oil paint. In between preparatory layers you should always use sandpaper to smooth the surface. This is the basic principle of oil painting, which is the method of applying thinned down paint (high percentage of solvent) first, and gradually using less and less solvent. “Fat” refers to the oil paint that’s diluted with an oil medium (linseed or poppy seed oil) while “lean” means oil paint that’s diluted with turpentine or spirits. If the layers aren’t applied correctly, it could cause cracking. This is a technique where layers are applied without leaving the previous one to dry. No matter what kind of varnish you use, it is important to know when to varnish oil paintings - however dry they seem, they might not be completely! With other paints, the drying process is basically just evaporation – but not with oils. While the surface is seemingly and “physically” dry, truly it is an ongoing chemical process of oxidation, and after this stage the painting begins to age. Therefore, oil paints are advised to be varnished after at least half a year after the work has been finished. 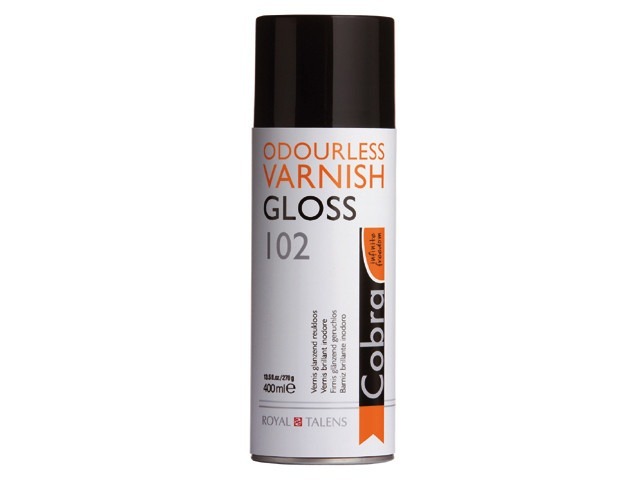 Otherwise, the varnish will work as a seal and won’t let oxygen pass through the layers effectively. Halting the oxidisation process will leave the deeper layers still wet, which on a long run will cause the surface layer to crack. Read more about varnishes here. How Do I Clean My Brushes Properly? Getting out of oil paint from your brushes might seem to be a struggle – but in reality, it’s not so hard! First of all, you don’t necessarily need to have completely clean brushes. It is easy to simply wipe your brush with a towel, or for a cleaner bristle, damp it with a bit of solvent, linseed oil or brush cleaner solution. Even when you’re starting a new painting, it is useful to have a bit of leftover paint in your brush, as it is perfect for sketching. As Mark Carder* demonstrates in his useful video, cleaning your brush frequently does more damage to the bristle than leaving paint in it! However, even if oil paint dries very slowly, you do have to take care of your brushes when you don’t intent to use them for a few weeks. In that case, the best way is to use some sort of spirit in a well ventilated area, and clean the brush with a (paper) towel. *make sure to check out his tips on "easy ways to take care of oil paintbrushes"
How to dispose of turps and other chemicals? It is essential to know how to dispose of hazardous waste properly when you’re working with such materials. It is not only illegal to pour them into the sink or on the ground, but highly dangerous to the environment. When you no longer intend to use your paints or solvents, make sure you either donate it to someone who would use it or take care of them properly. One way is to let the used turpentine or brush cleaner to sit in their container while the paint separates – the clear liquid can be reused, the remaining paint then poured onto an absorbent surface such as cat litter, saw dust or concrete. Let it completely dry and them put it in a fire-safe trash container. This entry was posted in Blog Home and tagged brushes, canvas, oil paint, turpentine, varnish, painting techniques, solvents on May 4, 2017 by Zsofia Jakab. What does water - mixable oil mean? Literally, it is possible to mix the Cobra oil series with water, without losing the properties of regular oil paints. Cobra oils contain the exact same materials as regular oil paints; the difference is that they are modified in order to mix with water. Since they do contain oils, it is important to keep that in mind that they still can be mixed with turps and spirits as well, so when you’re using water you have to mix them little by little to enable the particles to mix well. Having a paint that has the same properties as traditional oil paints, but is also mixable with water has many advantages. Firstly, you don’t have to use harmful chemicals like turps and spirits, thus you don’t have to buy, carry and smell them in order to produce oil paintings. Secondly, since you’re only using water, it is safe to pour the remnants into the sink, making your life easier, as well as not having to worry about environmental damage. Thirdly, you don’t have to throw away your non-water soluble oil paints, as Cobra paints can be mixed with them. Get to know what artists think! 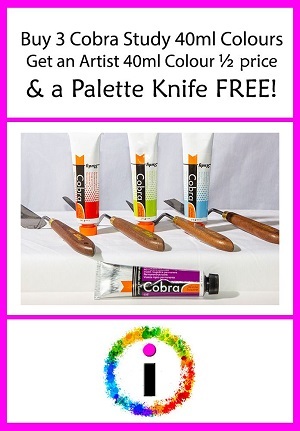 There are two types of the Cobra oil paints available – artist and study quality. The main difference between the two is that the artist quality paints consist of equal amount of pigments and binder, while study quality paints contain half of the amount of pigment with an additional material called extender. This way, it’s possible to create cheaper, but still good quality paint. You may also notice that the artist quality brand has 4 series that also have different prices. 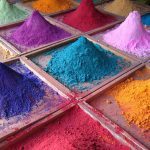 This is due to the fact that certain pigments are more difficult to get hold of, therefore their production costs are higher – it does not indicate that the more expensive colours are any better! The series numbers are indicated on the back of the tube! Not surprisingly, the question whether Cobra oils and acrylics can be mixed may arise, and of course, both paints can be mixed with water! However, even though it is possible to mix them, it is not advised in the long run, as the drying process of water based paints is completely different to oil based paints. While acrylic paints remain flexible due to their plastic content, oil paints dry harder with age, resulting in cracking and other different damages of the painting. Building up a painting with the Cobra series works the same way as with regular oils – the principle of the “fat over lean” technique still applies. 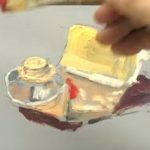 With this technique, you add your layers that should contain less and less solvent (water), which means more paint, thus more oil goes to the surface. However, if you don’t wish to use paint straight out of the tube for the last layer, or wish to have a very smooth effect, the Cobra Painting Medium is what you need. To make the fat over lean principle work, you will have to add more and more medium into the water you’re mixing with, this way the solvent will contain more oil even without adding very thick layers of paint. Glazing is the application of a very transparent layer of paint on top of the others. 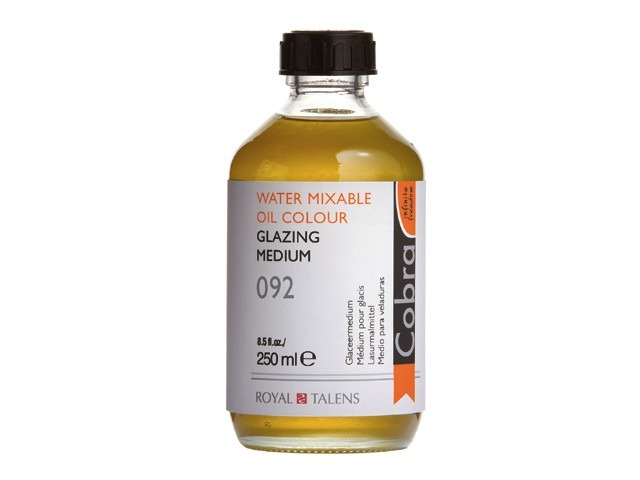 The Cobra Glazing Medium is very similar to the Painting Medium, with the difference being that it doesn’t contain any water, so it is more flexible. The Glazing medium has to be applied directly out of the bottle to the last layer of the painting. Another possible way to use it is to put subtle colours into black and white paintings, by mixing the glazing medium with paint and applying it to the surface of the dried painting. This way the original brushstrokes remain untouched, and you can put on more colours or brush them off without affecting the finished painting. 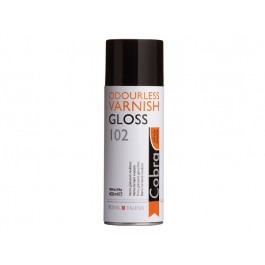 Varnishes are applied in order to protect the painting from ageing as much as possible. It’s important to keep in mind that varnishing has to be done after at least a year has passed since the finishing of the work to allow the oils to dry properly. This entry was posted in Blog Home and tagged cobra, oil paint, paint, varnish, Royal Talens, water mixable oil, glaze on May 3, 2017 by Zsofia Jakab.